The Club Wyndham Carriage Ridge Resort is situated one hour north of Toronto, Canada. 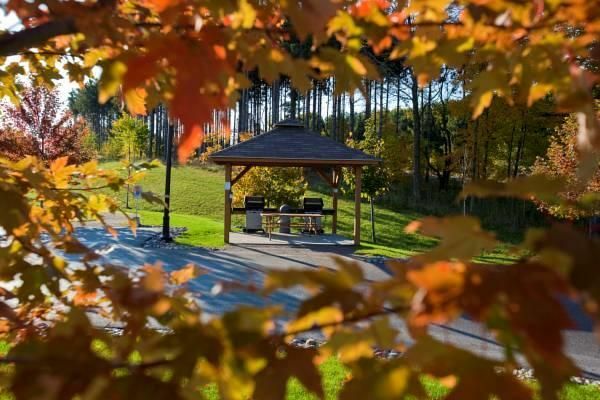 This is a perfect location to discover Ontario’s Lake Country, an extremely picturesque area, and experience a ‘must visit’ four-season outdoor recreation destination. The exact town the resort is in, is called Oro-Medonte, in Simcoe County. During the winter months, the resort of Carriage Ridge is perfect for skiers, offering a ski-in/ski-out setup. Even more, the nearby Horseshoe Resort adds to the selection with incredible ski trails, exciting runs, a half pipe for snowboarding plus night skiing, night boarding, and night tubing. The remaining months, when skiing is not feasible, the area offers a variety of golf courses, with four acclaimed courses nearby. Even within the resort, Carriage Ridge Resort has an abundance of amenities. Some of the features, highlighted in the amenities below, are an indoor swimming pool and separate indoor Children’s swimming pool. The friendly, helpful staff has organized activities to help keep your time during the stay entertained. Amenities also include: a fitness center, indoor hot tub, playground, and picnic/BBQ area. The game room has a pool table, arcade games, table hockey, and a computer. Also, there is plenty of seating area, indoor and outdoor, throughout the resort. At 1300 square feet, this beautifully appointed room is filled with an abundance of amenities that will make your stay more comfortable. This accommodation features a spacious living room with a large screen TV, DVD player, and some rooms even offer a video game system. The private bedrooms offer a place to unwind and relax from the day with a quiet environment. Practicality separates this condo from the competition, with the inclusion of a large dining table, fully equipped kitchen, and a washer and drying machine. The area surrounding Carriage Ridge Resort offers almost every activity in the book. There are off road guided adventures, through the Horseshoe Valley’s terrain, and places to rent a variety of bikes to go exploring. Time can be spent at Wasaga Beach, which is the longest freshwater beach in the world. Explore the treetops with the use of rope bridges, zip lines, climbing nets, footbridges and swings. Lake Simcoe or Lake Couchiching are both a quick trip from the resort and offer fishing. During the winter, the guided tours can be completed by snowmobile, and snowshoeing, sleigh rides, and dog sledding adventures are all available. - **This resort offers Braille signage (i.e. elevators, room numbers), handicap parking, first floor access ramps. Some units include wider than typical unit interior doorways, all doors have lever handles, roll-in shower, handheld shower head, grab bars in shower, grab bars around toilet, raised toilet (higher than typical units), front door wide-angle wheelchair height peephole, first floor handicap accessible access, Braille signage for room numbers.